PHILADELPHIA (WPVI) -- Philadelphia police are looking for a pair of bandits, who walked into a Dunkin Donuts and made off with some cash. Police have released a surveillance video of the robbery on the 800 block of Adams Avenue in the city's Crescentville section. 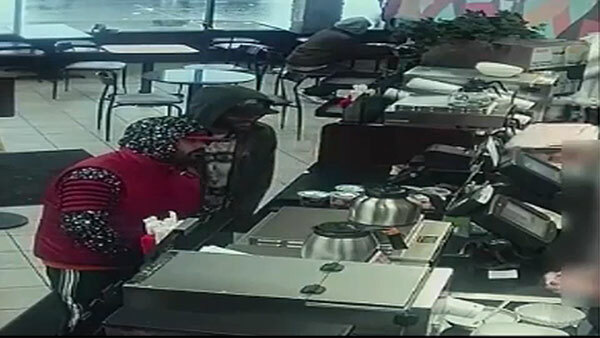 They say two men entered the Dunkin Donuts on February 7 at two in the afternoon. They allegedly handed an employee a note demanding money or be shot. After complying, the two suspects left.